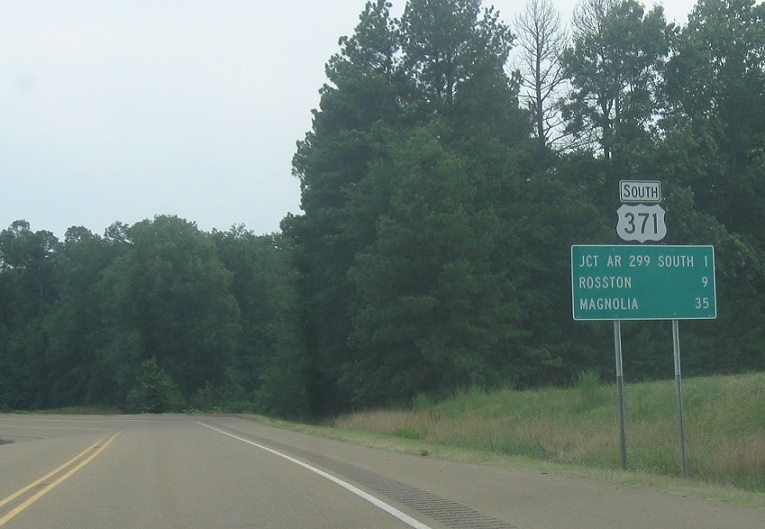 Reassurance shield after the 53/299 junction. 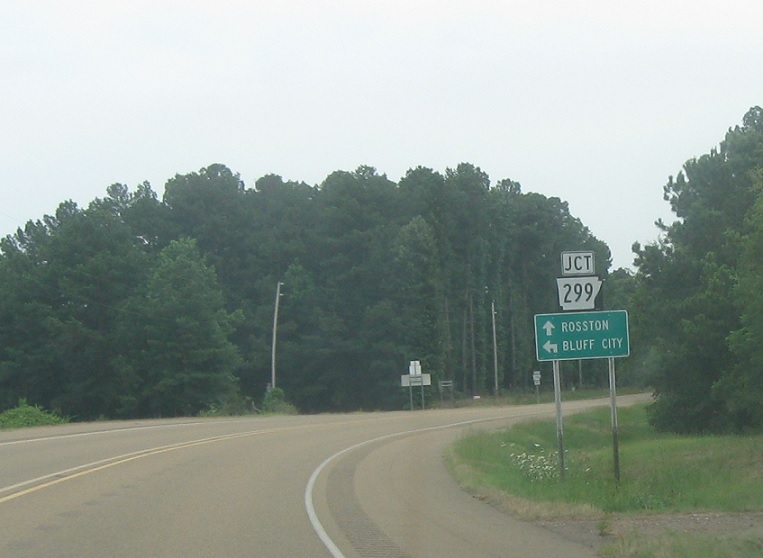 We’re 1 mile from the Highway 299 south junction. It’s debatable whether or not 299 is concurrent with 371 here, but I tend to believe it is. A mile later, we’ll approach the 299 split. Follow 299 south to Bluff City and 371 south to Rosston. 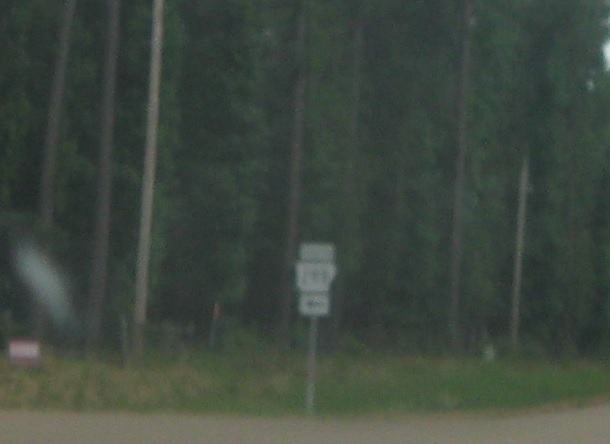 Turn left for Highway 299 south.